Australian Mutual Holdings Limited (AMH) has paid $20,400 in penalties after ASIC issued two infringement notices for misleading statements in Product Disclosure Statements for two investor funds it manages as responsible entity. Each infringement notice imposed a $10,200 penalty. The payment of an infringement notice is not an admission of a contravention of the Australian Securities and Investment Commission Act 2001 consumer protection provisions. ASIC can issue an infringement notice where it has reasonable grounds to believe a person has contravened certain consumer protection laws. ASIC has also accepted an enforceable undertaking from LCL Capital Pty Ltd (LCL Capital) after an investigation found deficiencies in the way they monitored and supervised their authorised financial adviser representatives. ASIC’s investigation into the Queensland-based financial services firm came after a review of the advice provided by one of its authorised representatives, Timothy Bryce. ASIC’s concerns related to alleged failures to ensure that financial services were provided efficiently, honestly and fairly, take reasonable steps to ensure that authorised representatives complied with financial services law and ensure that authorised representatives were adequately trained and competent to provide financial services. The role is responsible for supporting ANZ’s super regional strategy by improving the connectivity between ANZ’s 33 markets with a diverse set of customers. Faruqui is currently head of corporate and investment banking for Asia Pacific at Citigroup. In his 23 years at Citigroup, he has served in a number of senior executive roles including head of global loans & leveraged finance, Asia Pacific, head of fixed income, capital markets, Hong Kong, and corporate banking head, Central Europe. Preparations for the Association of Financial Advisers (AFA)’s National Conference in Cairns this October are well progressed, with the program designed to encourage advisers to take the initiative in driving change, a sentiment which is in line with the AFA’s 2014 theme - Innovate: think, create, act. “Many advisers have been pre-occupied with FoFA and regulatory and compliance related changes for years now, and although some uncertainty remains it is time for all advisers to discover and embrace the new opportunities that are emerging for our burgeoning profession,” said CEO Brad Fox. MLC has welcomed changes to the Superannuation Excess Contributions Tax rules which had penalised investors for going over their contribution caps. Keiran McIlwain, MLC’s head of technical and development, said the news was particularly good for Australia’s 5.5 million baby boomers. “The removal of the tax will mean they are no longer penalised at a rate of 46.5 per cent. Instead they’ll have the option of withdrawing these superannuation contributions, with earnings taxed at their marginal tax rate,” he said. “The irony was that on the one hand Australians were being encouraged to save and invest in their super, and then penalised for investing too much. We have a $1 trillion superannuation savings gap; a simpler, fairer system should in some way help to bridge that gap. State Street Corporation has announced a number of Asia Pacific management changes as part of a wider focus on adapting to meet changing client needs and the organisation’s evolving business model. Ian Martin, who has spent the past 21 years with State Street in Australia, will soon relocate to Hong Kong after his appointment as head of State Street Global Markets and State Street Global Exchange, Asia Pacific. 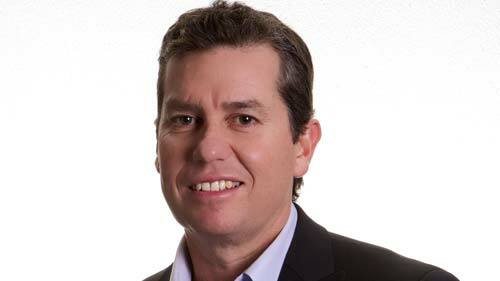 Chris Taylor has been appointed head of Global Services and Global Markets for Australia, taking over from Martin. The Australian corporate bond market has struggled to compete against syndicated term loans, despite a pricing advantage, says Dr Philip Bayley, Principal of ADCM Services. Addressing an Australian Centre for Financial Studies briefing session today, Bayley said the bond market was the poor cousin to debt syndications even though the average corporate bond credit spread was 58.9 basis points compared with the average syndicated loan spread of 76.1 basis points. Bayley’s research, which covers the period from 1996 to 2010 and focuses only on non-financial companies listed on the ASX, illustrates that bond issues largely held their own with syndicated loans up to 2003, but from 2004 to 2010 the latter have dominated the market. BetaShares has announced the launch of a new investment fund on the Australian Securities Exchange (ASX). The BetaShares Geared Australian Equity Fund (hedge fund) trades under the ASX Code “GEAR” - you can buy or sell units in GEAR throughout the day like any share on the ASX. GEAR may be a cost-effective alternative for investors considering or already invested in geared exposures such as margin loans or geared managed funds. GEAR uses its capacity as a wholesale investor to borrow at significantly lower interest rates than those available directly to individual investors. Importantly, all gearing obligations are met by the Fund, which means that investors in GEAR are not exposed to the possibility of margin calls.